This week Assembly is taking residency at our favourite store in Brisbane, as we head on a Summer holiday. We'll be setting up the mini Assembly at Künstler, Winn Lane, Fortitude Valley. Melbournians need not fear, we'll also be operating as usual in Carlton. Friday @ 2:00 - We're hosting a cupping some of Assembly's favourite coffees @ Cup coffee roastery (43 Balaclava st, Woolloongabba). Coffees on the table from Seven Seeds, Small Batch, Reuben Hills, Mecca, The Single Guys, Market Lane, Coffee Supreme & more. Sat & Sunday 9:00-4:00 - We're brewing delicious filter coffee in Winn Lane. There will also be doughnuts from Gramercy, burgers from Ben's Burgers, and reading library from Künstler. Coffees we're brewing will be from Small Batch, Mecca & The Single Guys. We will be brining a selection of retail coffee, brewing equipment & some ceramic cups by Shiko Pottery. We hope you can come down and say Hi! It's bound to be a good ol' time. Assembly is heading to Sydney for a brief, yet exciting residency at Paramount Coffee Project! We’ll be running the coffee and tea side of things on Wednesday 24th September. 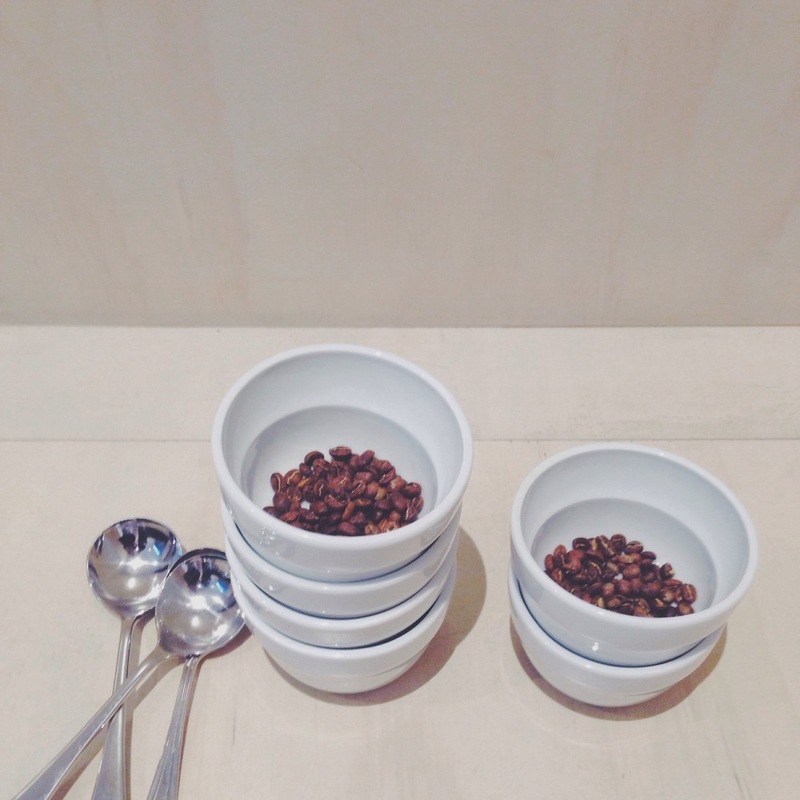 The team behind the coffee bar at PCP will be using our recipe to make espresso, our way. We’ll also be kicking it on the slow bar, with more info to be released about of coffee and tea selections and how we’ll be curating the menu. Details about what coffees we are bringing with us are just around the corner. We’ll be bringing some great teas as also. There’ll be opportunity to taste our favourites from various origins, lovely contrasting and interesting styles of processing, as well as brewing preparations. We’ll be serving quick rinses of some teas, multiple infusions of others, and 44 hour cold brewed served over ice. It's all very delicious and you'll be able to pick up some tea etc to take home and make yourself too. Basically, we’ll be bringing our A game with us to Sydney, and can’t wait to show you what it is that we do best at Assembly. Big thanks to PCP for inviting us to their house. We’re really excited, and that’s because we’ve always really admired the concept and the way the store runs. It’s helping to diversify our coffee community, and we love the sense of openness and inclusiveness. Cheers for having us as part of it. Come drink tea with us! We're opening our tea cupping to the public for the first time. It's an exciting time for the appreciation of nuance and depth of great tea. Quality tea truly deserves the same attention that we pay to the process and experience of coffee, or dining. We've been working on a tea offering that showcases a range of processes, styles and origins. With some lovely recent additions and seasonal evolution to our selection, we invite you to come and experience it with us here. As well as the historical and cultural significance of tea, there's also an opportunity to asses quality. We'd like to acknowledge the largely forgotten importance of tea preparation and extraction. On the cupping table there'll be tea from China, Japan, Taiwan, India and Burma. There'll be a variety of processes to taste, including white, green, oolong and black tea. Whether you're passionate about tea, or coffee, or food, this is a chance to appreciate taste. 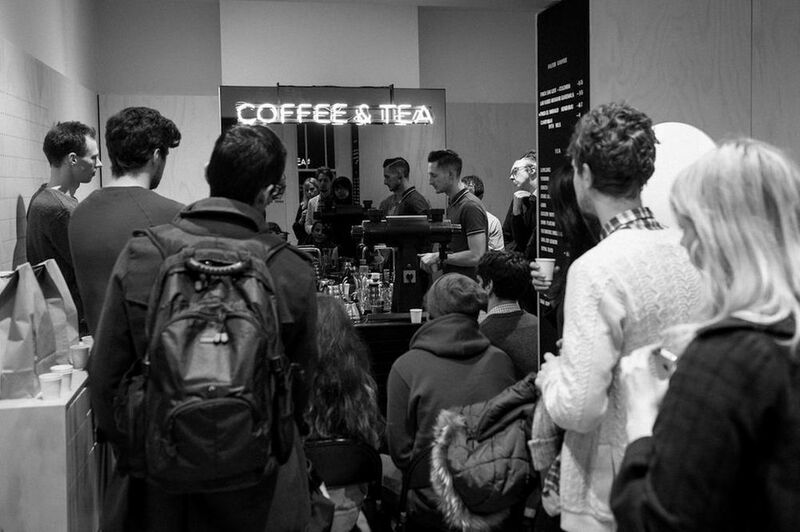 If you're not sure if this sort of event is valuable to you, have a read of the James Hoffman piece "How to progress in the coffee industry" We hope that we can continually be part of more honest conversations and discussions with other people. Everyone is welcome. We've been working on a collaboration with Matt and Lentil from Grown & Gathered! I chatted with the pair as we tasted coffee, and talked about the importance of quality, flavour and discussed how we could share what we love with our customers. We wanted to talk about how much goes into growing produce and how much better everything is, when it's grown in a meaningful way. Most of us don't get to taste how wonderful an amazing tomato can taste, or how incredibly vibrant a leaf of amaranth can smell. So, we've been working on a tasting map. It's an opportunity to taste, smell and cup flowers, fruits, veg, herbs and coffees side by side. We've collected and paired flavours that are interesting to experience together in a logical order mapped out by us. These may act as associations that translate to coffee, they might promote your awareness of what you are smelling and tasting, or they might just be purely interesting. Each smell and taste may highlight something special in each coffee. The event kicks off at 2:00pm on Saturday 29th March at Assembly, in our filter room, 60 Pelham St Carlton. 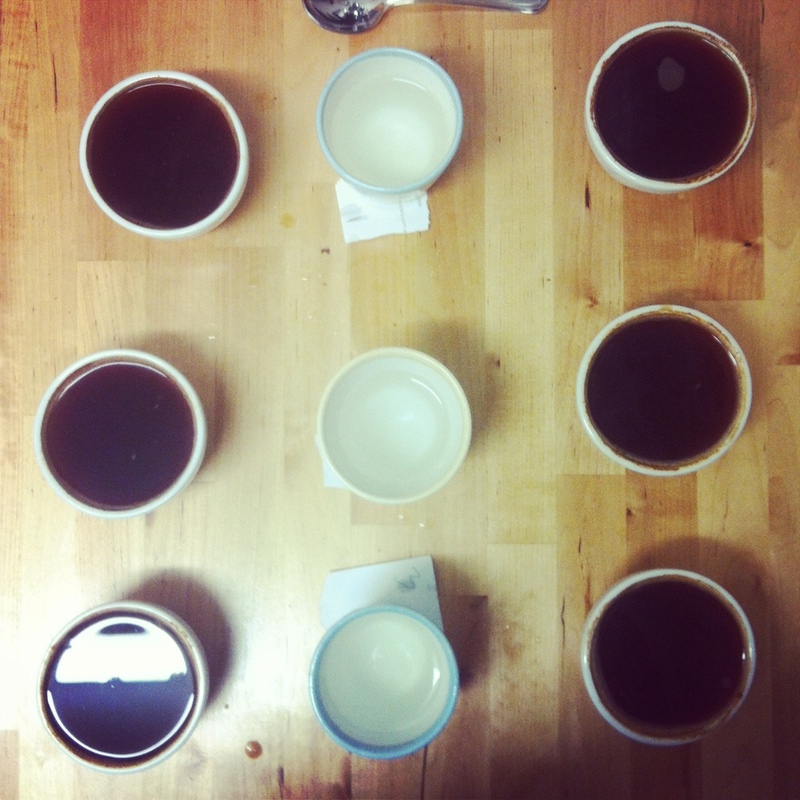 Cupping is a universal way to taste coffee. The procedure is standardised, so that whether you're cupping in Guatemala, Ethiopia, London or Melbourne, we're all tasting the same thing. We control the variables, to have an accurate representation of each coffee. The cupping process begins with a dry aroma assessment (as soon as the coffee is ground), followed by a wet aroma (when we immerse it in water and break the crust), and then when the coffee has cooled (after about 14 minutes), we begin to taste, by slurping it up with a spoon. The flavours change and develop as the coffee cools. Its a wonderful ceremony to be a part of! If you're from a cafe, this is a great platform to come and taste some wonderful coffees, side by side. It could help you choose the next coffee for your filter bar, or introduce you to new roasters that you might not be familiar with. If you're a roaster, or you've been overseas, interstate, or you've just got your hands on some exciting coffee, bring it along to share! We love tasting new coffees, and its a great opportunity to cup a number of different roasting styles and origins on one table. If you're interested in hosting or facilitating a cupping at Assembly, get in touch. We really like new ideas, and are open to anything that is about quality coffee. We are nearly at the two week mark and are bidding farewell to the Yirgacheffe Kochere from Reuben Hills. It's been a real stunner as filter and has translated so well as espresso, black and with milk. Where we might have sacrificed mouthfeel by grinding on the EK and pulling long-ish yields, however we really feel we have made up for that with flavour and clarity. Jasmine floral, super sweet, honeysuckle, tangelo juicincss. We really echo Reuben Hills' sentiment of "easily our most enjoyable coffee of 2013" as filter, and espresso so far in 2014. But there is a lot more of 2014 to come. Bolivia Juan Ticona is up next as the focus for espresso. Ticona has isolated his farm lots into micro selections, based on varietal. We will have his Peaberry lot. Ticona has been producing coffee for 50 years, and now, in his 70s, his 5 kids are involved in production. Their farm covers 10 hectares of land, half of which are dedicated to forest reserve. Ticona doesn't use any chemicals in his farming, and has used his experience in producing coffee to develop environmentally sustainable methods. He shares this knowledge with other local farmers in the area. The farm is so remote, with the closest major city of La Paz being 200kms away, that small hold farmers in the area have banded together to transport their coffee for processing. Come and have a taste! We're pretty excited about espresso kicking off here, so we thought we'd throw a bit of a party to celebrate. We've just opened the Assembly sister store a few days ago, and it's now operating alongside our first love, filter. The party will be this Friday 28th February from 6:30-8:30 at our place, 60 + 62 Pelham street Carlton. There will be a footpath BBQ, as well as drinks. Espresso at Assembly We’re happy and excited to announce that Assembly is growing! We’ve secured the space next door to our current store and have been busily preparing to expand into it. Continuing our same focus on origin and quality, we’ll be showcasing some wonderful coffees, brewed for espresso. We will be serving all single estate coffees, so that you’ll really be able to really identify each different coffee, it’s flavour and origin. There won’t be any house blend or any blended coffees. We’ll be carefully selecting the best possible coffees that work beautifully with or without milk, from whoever we feel is roasting the best seasonal coffees at the time. We’ll be kicking off our offering with Ethiopian Yirgacheffe, Kochere roasted by Reuben Hills in Sydeny, and it will be featured both in no. 62 for espresso and no. 60 for filter. We’ll be grinding all our coffee, filter and espresso using EK grinders. The testing we’ve done has shown the greatest flavour clarity and we’re really happy with the results. As per our mission statement, we’ll be continuing to tirelessly question what tastes best, and how we can better our coffee brewing and sourcing. Filter, retail and tea will continue to be our dedicated focus at no. 60 Pelham street, Carlton. We’ll continue to explore and present the best possible filter and tea and bring you a great range of home brewing equipment. Dedicated cupping facilities will be available all the time, so you can compare different coffees and teas any time with us. Events, educational sessions and expert talks will be hosted regularly in the space. We will be focused on supporting cafes make choices for their filter offerings, and find the right equipment for their own store. We’re really excited for what we’ve got in store for espresso, filter and tea at Assembly this year. Can’t wait to reveal it all on the 19th Feb, 2014. We were motivated to offer these coffees after getting a chance to cup them a couple of months ago. Offering these coffees provides an exciting perspective on green coffee as well as roast profile. You can read more about these coffees at Workshop or Nordic Approach. We will host a public cupping on Thursday 10th October at 7pm for these coffees as well as some other samples from Workshop & other roasters. Stay tuned for an announcement for details. We encourage anyone interested in attending, even if it is your first time cupping. Coffee will be purchasable on the night and will be the first opportunity to buy these two coffees. Tickets will be $14 and will include 50g of both the Thunguri and Gichathaini. There will be limited spots available at the cupping. To ensure your spot please head to our online store or click here. If you purchase a spot and are unable to make it please send us an email at Carlton@assemblystore.com and we will put some coffee aside for you to pickup. Thankyou to everyone who came along to our first Brew Class, here at Assembly in Carlton. It was a full house and we hope everyone enjoyed it. Big thankyou to Joseph Liu for hosting the class and sharing your recipes with us. It was great to discuss how and why variables effect the end product: Water temperature, grind and the impact of human elements. We talked about using hand grinders, and what you can do to get great results at home. Thankyou to Aaron Lee, talented photographer, for capturing the evening! Big thanks to Joe Hubbard for helping us out on the night (and hand grinding lots of coffee). // THIS CLASS IS NOW FULL. NEXT MONTHS CLASS TO BE ANNOUNCED SHORTLY // We're excited to announce our first Brew Class at Assembly! We'll be hosting a series of classes, each focussing on a specific brew method, discussion or topic. 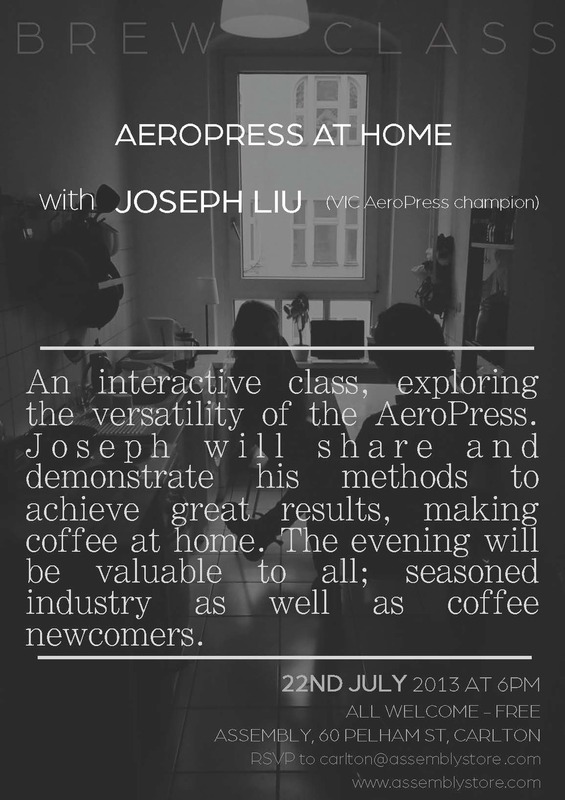 Our first interactive workshop will be hosted by the charming Joseph Liu, who was recently crowned the Victorian Aeropress Champion. He impressed and shocked onlookers, using a hand held grinder, and brewing at lower temperatures. The results spoke for themselves! Joseph is an ardent student of coffee, who is also a high school teacher of Chemistry. Joseph is the perfect teacher when it comes to getting excellent results making coffee; using Aeropress at home. On the night, Joseph will walk through two different Aeropress methods and share his recipes, while discussing the "How" and "Why" of brewing. Attendees will get to taste the results, and enjoy Joseph's delicious coffee. The class promises to be relevant and interesting for first time brewers and seasoned professionals alike. Our website has launched today! Great work from our pals at The Hungry Workshop, who did an amazing job helping us launch it, and are responsible for all our graphic design (www.thehungryworkshop.com.au) You can now purchase selections of our favourite teas, coffees and brewing equipment online. We sell our coffee in 50 gram, 100 gram and 200 gram reusable containers (which you welcome to send or bring back for refills). We've chosen these containers so you can choose few different items to try and importantly, so that if you don't drink a lot of coffee, you can buy small amounts and always have the freshest beans possible. With your coffee or tea, you'll get the story of each product, so you can read about where each has come from, how it was processed, why it was chosen by us and our tasting notes. You can subscribe to our "coffee fellowship" for either espresso or filter roasts, and we will send you coffee (whole or ground) from a variety of artisan Australian roasters, sourcing beautiful coffee, in a meaningful way. With the fellowship, you'll be sent a couple of different coffees each delivery, so you can try a variety of coffee producers, origins and flavours. Our selection of coffees is always changing, and we carefully choose each, based on our criteria for coffee at Assembly. Also feel free to access our brewing guides, keep updated on any workshops or events Assembly is hosting, plus check out this here blog for news and interesting findings. We've had a great first week here at Assembly! Thanks to everyone that have come in to visit. With the World Barista Championships on last weekend, there were heaps of coffee enthusiasts in town and it was great to meet so many out of town visitors to Melbourne. On the coffee front, we are really enjoying the Omar Collazos from Colombia as pour over, and drinking lots of Golden Wuyi tea from China. Great to have so many beautiful suppliers to work with and talk with, who are doing great trade with top quality producers. 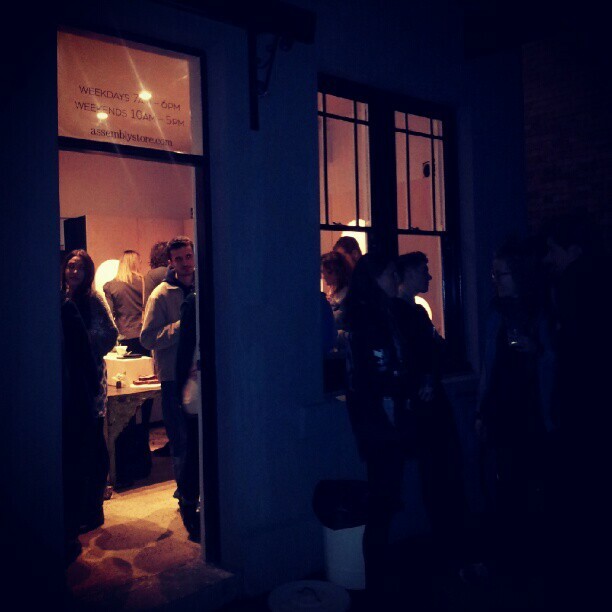 On the 17th of May we had our launch party here at Assembly in Carlton. It was a great success, and was so lovely to have the support of all that came along. Apologies if we didn't get a chance to talk to everyone, there were moments when it was difficult to move! Hope all the tea, coffee and beer was enjoyed. Such a memorable night. Tonight at Assembly we are cupping some amazing Colombian coffees sent to us from Russ at Reuben Hills. They were all beautiful and individual coffees. The Finca San Luis was incredibly fragrant, with lots of flowers, an sweet spices. It was also really complex and had a savoury herb aspect that we loved. The other Colombian, Finca la Montanita, had great passionfruit acidity, with some dark cocoa too. We're so looking forward to working more with Reuben Hills. Upon receiving these samples, the team has asked us for feedback. It's nice to hear from roasters, that they are listening to different opinions. That attitude isn't one you come across quite enough. We've been working on our space - preparing our shop for you. Check back soon.